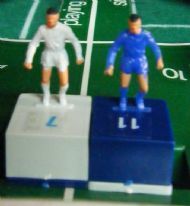 One of several versions using similar players - see also TAF 424, Premier League and Premier Table Soccer 2000 games. This game is periodically reintroduced to the market in a new format. 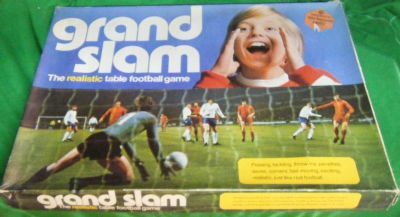 Classic 1970's football game box design. Price is for a complete used boxed game. Nice presentation of the teams in the box. 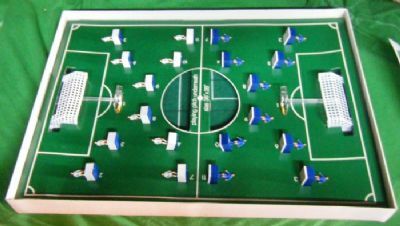 Full cloth pitch under the players, similar to Subbuteo but with player zones printed on it. 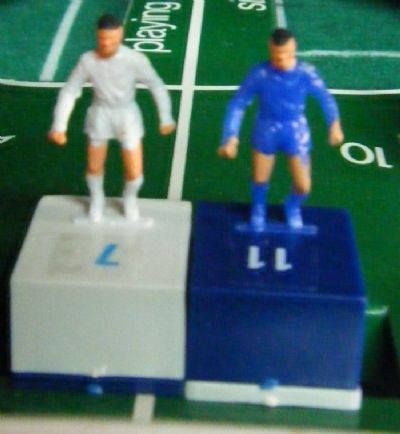 Nice Subbuteo style figures but placed on enormous plastic blocks to enable chipping, passing, trapping and shooting.